This is a tricky puzzle. 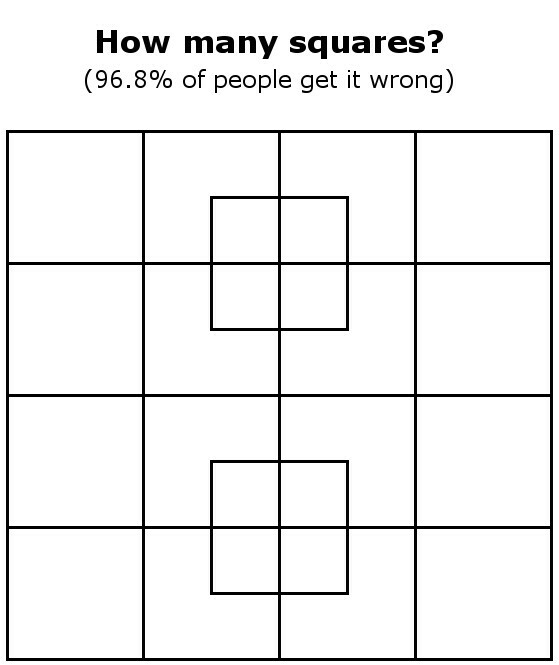 Can you solve for amount total squares there are? Remember to include the large square encompassing all the smaller squares!